As Bank Holiday Mondays go, this week's was fairly typical - lashing rain and lots of it. Despite promises of a dry day, I woke up to the sound of wind whistling through the double glazing and rain being hurled against the window panes. Just another stormy spring day in England. 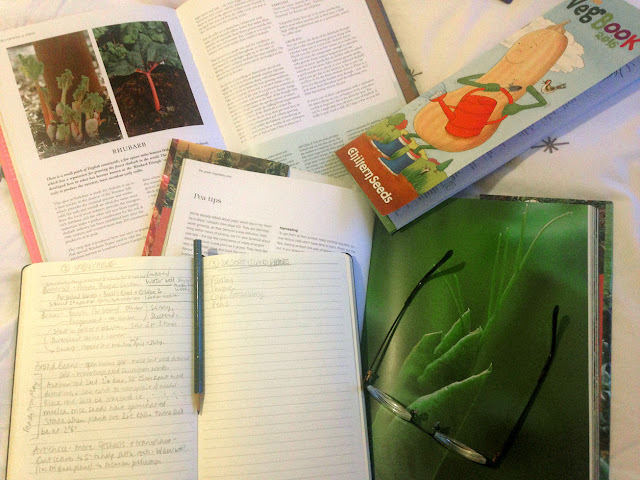 Obviously the sensible course of action was to make a huge mug of tea, collect up my notebook and pencil, seed catalogues and gardening books and retire back to the sanctum of my bed to spend the morning in my pyjamas planning my seed order for this year. Pretty much the perfect morning, actually. By the end of my leisurely morning, I was well on the way to creating a (very long) list of seeds to buy. First, I considered the three categories of plants in The Great Veg Plot - Freshly Picked, Un-buyables and Desert Island picks. Interesting, huh? The first two groups are surely the reason why anyone would want to grow their own, however small the available space. And the last group clarified my thinking quite effectively. So what would you put into the freshly picked category? I'd definitely put crunchy mange-tout, baby climbing beans, sun warmed tomatoes, salad leaves and young podded broad beans. These are all veg I love to snack on as I wander the garden in the summer. Peas too when I remember to grow them. And Cape Gooseberries are so much nicer eaten straight from the bush - mine grows as a perennial. With the storm still raging outside, I turned my thoughts to the 'Un-buyables'. What's interesting about these is that since the book's publication in 2005, a lot of the veg covered in this section are now available in selected supermarkets. So no longer un-buyable, but possibly hard to get. But shouldn't we also think about the days and miles between harvest and sale? Veg such as globe artichokes, asparagus, edible flowers, pea tips and some of the more unusual squashes and beetroot are much nicer harvested at their freshest so perhaps these need moving to 'Better Grown than Bought' (I just made that up) rather than 'Un-Buyable'. Un-buyables: Karmazyn beans sown earlier. For my own un-buyables, my list would have to include rainbow chard, achocha, honeyberries (like blueberries), a rainbow of carrots, spaghetti squash, wild garlic and pink Karmazyn broad beans. (Incidentally, I came across a broad bean called 'Red Epicure' which stays red when steamed. Anyone tried these?) I'm also growing Borlotti beans for the first time this year as my Cherokee Trail of Tears heritage beans of last summer were dismal. Each spring I hope for greater things! I also checked into Mark Diacono's 'A Taste of the Unexpected' for inspiration here - and wished that my Chilean Guava of a couple of years ago had survived. It's hard to resist though, isn't it? All those seed catalogues seducing us with beautifully photographed packets of potential. I restrain myself by knowing that there's never going to be enough space in the garden here for everything I want to grow so I'm making lists while biding my time before sowing. In previous years I've had windowsills stuffed with plants growing wildly etiolated weeks before the weather softened towards summer. 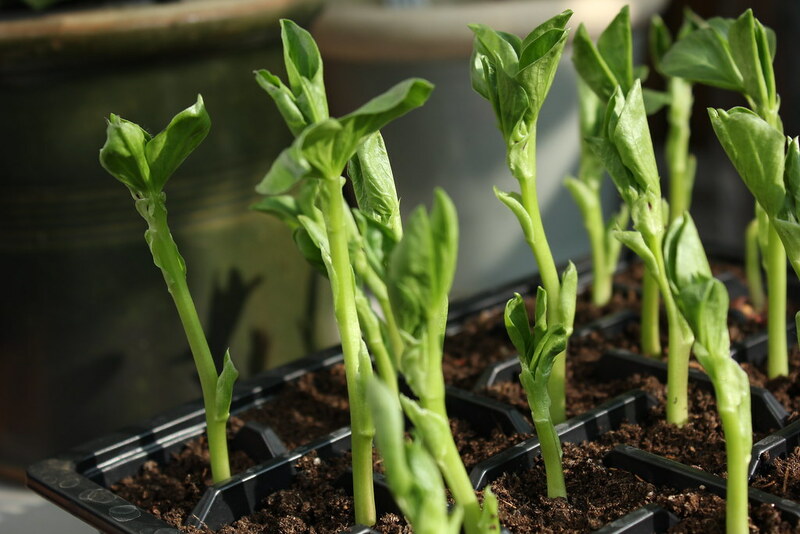 I've gone to the other extreme too and started my seed sowing as other bloggers wrote about how well their carefully nurtured plants were doing outside. Undeniably, I have to acknowledge that spring is February to April; despite the appearance of daffodils and primroses, it's too cold at one end and possibly too wet and windy at the other - even with climate change. A middle path is needed. For me, that compromise has taken the form of sowing (yes, I succumbed) a few seeds indoors in early March to get slightly ahead of the game (tomatoes, chillies and a few grasses - all needing heat to get started) but for other spring sowings, I'm taking my cue from the tulips. I know, bonkers. There is no scientific evidence to support this theory. 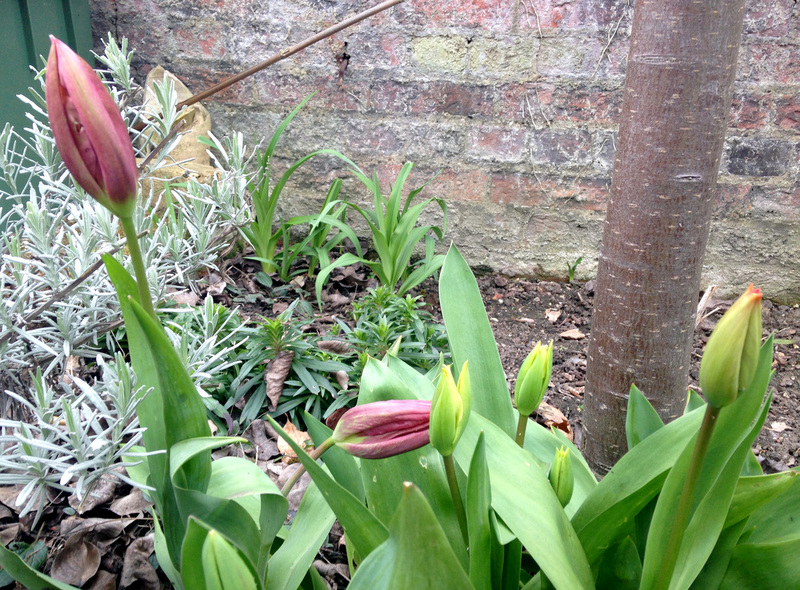 But while I've been raking, rebuilding and pruning, I've been keeping a close eye on what my bulbs and perennials are doing - and all the tulips have slowly produced buds with one or two ready to open. This is an early start for the tulips so I'm going to let nature lead the way. I've been in limbo since mid-March but once those bulbs are in bloom, that's my cue to start sowing, both outdoors and in. The temperature could still drop but, I have to admit, this way holds more anticipation and excitement than checking the local weather forecast! So, on this beautiful blue skies day (allegedly just the one for now), I'll be carrying on with a myriad of other garden jobs that need to be done - including transplanting self-sown seedlings and pondering how to prune the top of the pear trees which must be three times my height by now. There'll be time enough tomorrow (while it's raining) to go through my seed box and plan what to grow. How's everyone else doing? Have you started off your annuals or will you, like me, wait a couple more weeks? PS. 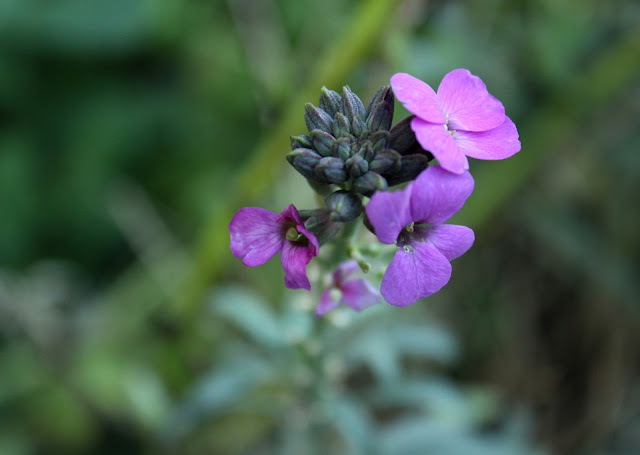 Frustrated gardeners might like to pay heed to the Higgledy Gardener in Cornwall who advises not to direct sow before mid-April, leaving a few mid-May sowings to extend the season even longer. But even he will walk on the wild side occasionally - his commitment to provide borders in bloom at the Cornish Port Eliot festival at the end of July has necessitated an early sowing under cover (cloche, not greenhouse). * In an attempt to even out the light source for my seedlings, I place a large sheet of white card between my windowsill seed trays and the darker room behind to reflect some of the window light back. The lengths we go to, eh! … or should that be Telegraph? Thanks to the eagle eyes of Anna at Green Tapestry, I was alerted to a rather splendid bit of news yesterday. The Telegraph had published a piece called 'The gardening bloggers you should be following' and, to my amazement, the Urban Veg Patch got a mention! Well, you could have knocked me over with a feather. Of course, I was a bit player in a stellar cast - other blogs mentioned may be familiar: Rusty Duck blog written by Jessica, David Marsden aka The Anxious Gardener, Jono Stevens writing at Real Men Sow and, to show we mere mortals are in excellent company, Tom Stuart-Smith, garden designer of renown. I didn't know he even had a blog but will definitely be checking that out. I met him last year and can tell you that he's a truly nice person. And I mean that in the best possible sense of that rather overused adjective. So. I now find myself with new blogs to explore, including that of Compostwoman (what a great name!) and the Kitchen Garden blog of the article's author Francine Raymond. Many thanks to Francine for her article and to everyone who has ever popped over to read my blog - your support is so much appreciated. Cheers!